Rats and bananas. It sounds like a weird combination, doesn’t it? But the fact is that rats might get a taste for bananas or banana chips if they find some lying around. So what if your pet rat starts chewing on a banana? Should you let him mind his business or stop him? 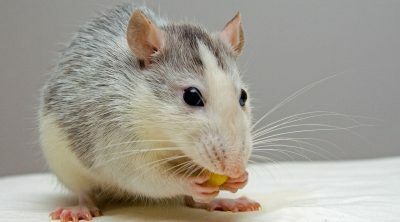 Can rats eat bananas without any problem or are bananas a dangerous food for them? Bananas are a delicious treat we humans enjoy a lot. 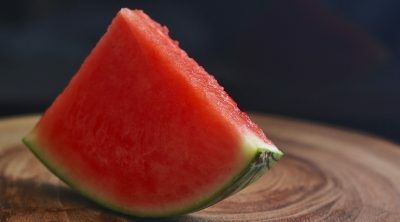 It’s full of vitamins and minerals and other nutrients, so it’s also a very healthy fruit. 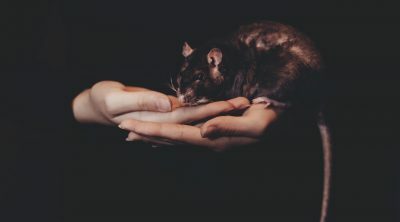 But as you probably know by now, not all fruits or human foods are ok for our pets, so let’s find out if it’s ok to give bananas to our pet rats. 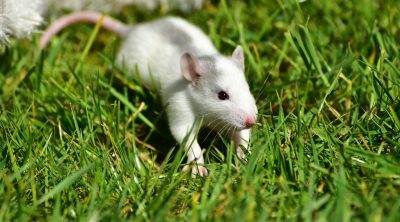 Unlike other small pets, such as cats, rats are omnivore creatures and they’ll devour almost anything they can put their tiny claws on. Sometimes even that lovely furniture you just bought. But that’s another story. So yes, rats can eat bananas. And trust us, they’ll love it. Bananas are full of healthy nutrients and other minerals and vitamins and are beneficial even for our tiny furry friends, the rats. 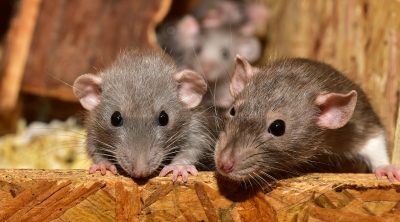 They contain a lot of potassium, vitamin C, magnesium, which contribute to the overall good functioning of a rat’s body and internal organs and systems. The vitamin C is known to help reduce the risk of a disease called scurvy, which affects a rat’s connective tissue. The magnesium aids the functioning of the muscles, the nervous system, the heart and the immune system. Potassium seems to be crucial for the heart, and also helps with muscular function and digestion. So yeah, let your pet rat chew on that banana, but make sure you are careful with a few small details. 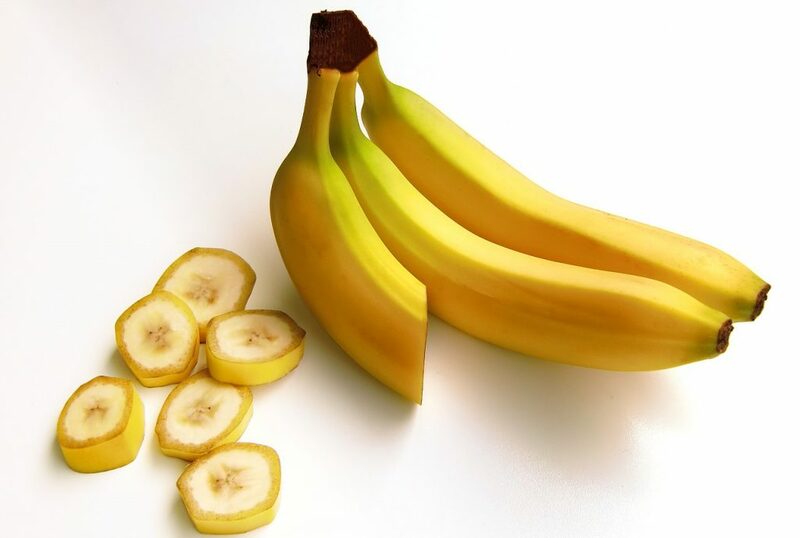 While in general it’s safe – and very healthy too – for pet rats to eat bananas, make sure you stick with the ripe ones. Green bananas are harder to digest and therefore they can cause some digestive troubles if fed to rats. While this isn’t a big issue, it’s better to wait for bananas to ripe before you feed them. Also, keep in mind that these fruits are high in sugar, so overfeeding might lead to your rat becoming obese. Stick to a few slices two or three times a week and everything should be ok.
You can give them thin slices or even mash up the banana to help them with chewing. Rats also seem to like dried banana, so try that out too. 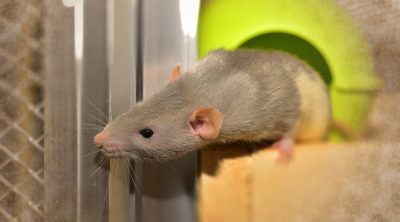 Mixing them with some other healthy fruits will make for a good treat for your pet rat so feel free to experiment.